After a ten minute walk from Shinjuku Station's West Exit (I recommend using exit B17) and a block or so down a back street, I arrived at the surprisingly low-key-looking three-story building that housed Base Point, a.k.a. 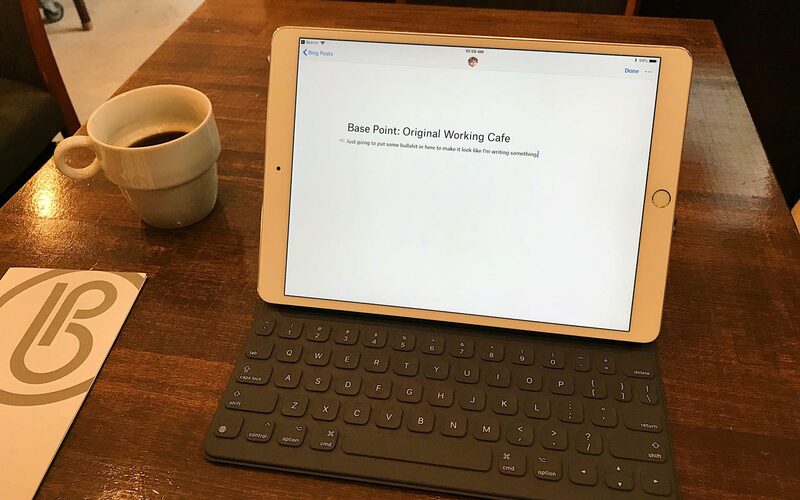 the "Original Working Cafe." I wasn't able to confirm this claim, but I assume it's like those "World's Best Chowder" signs you see at restaurants along the coast; something nobody bothers checking because it doesn't really matter. 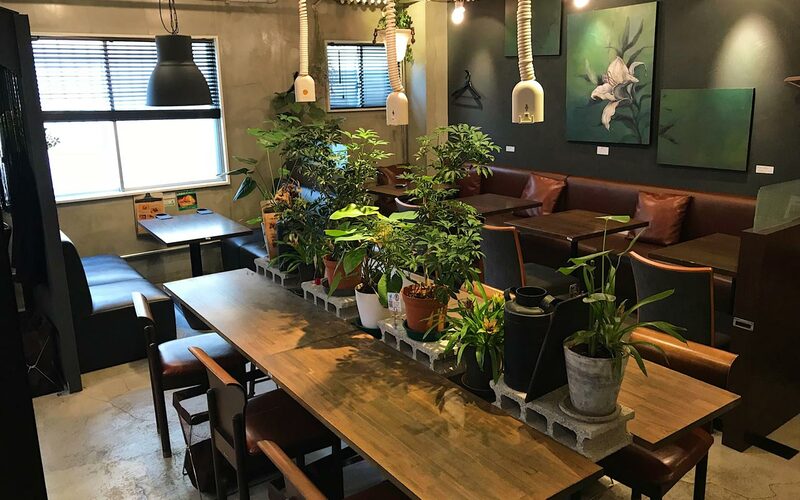 Actually, Base Point is lot like a manga cafe in some ways: you pay by the hour or day, get a shared space or private room (depending on how much you pay), and are able to help yourself to free drinks. I was on the hunt for someplace in Tokyo where I could get good Internet and work from my laptop. And I didn't want to work at a manga cafe. Just like a manga cafe, minus the comics and otaku drifters. Base Point is for adults and/or people who appreciate a nice environment. You can get all of the above, plus there are meeting spaces that you can rent too. I just opted for a seat in the cafe on the first floor. Upon arriving, you will receive a receipt. It records when you arrive and how long you plan to stay (whoops, I'm already an hour over my "one hour" estimation). When you leave, you just hand over the receipt to pay your bill. 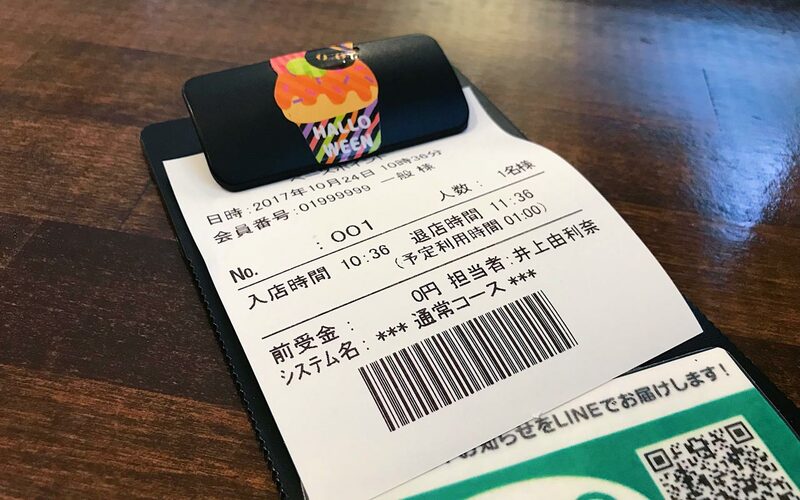 Going over an hour will cost you ¥60 per ten minutes. There is also a lunch special that gets you food, an hour of time, and drinks for ¥840. 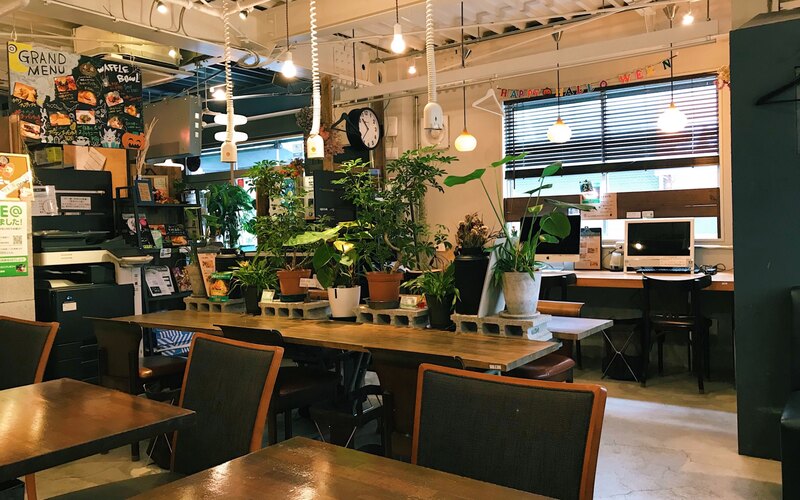 The seats are comfortable (I'm writing this article from one of those seats), the tables are nicely spaced out, and all the plants give Base Point a cozy feeling. There are plenty of electrical outlets for all your electronics and the Internet was fast. Very fast! Most "free Internet" experiences in Japan have left me wanting, but here I could have video chatted with important clients, or something very business-y like that. Time to download some cryptocurrency's entire blockchain! In the two hours I was here, patrons came in and out. 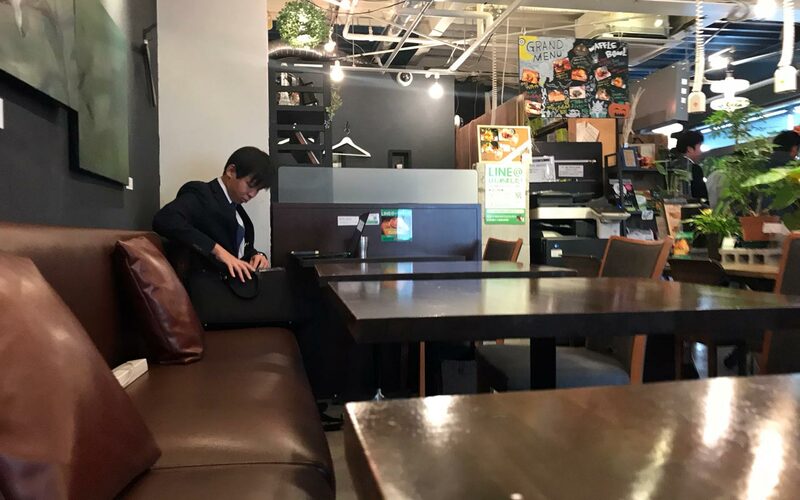 Pretty much everybody was a salaryman, doing work between meetings with clients. There was also a student studying and there was a group holding a meeting upstairs. Despite all this, it never got too crowded, though you should keep in mind that I was here on a Monday morning. In later visits to Base Point, I did notice lunch getting consistently very busy, with most seats filling (usually there were still a few open spots, though). So if you want to grab your favorite seat, just come in the morning or sometime after lunch. That said, I've never had any trouble finding a good spot. 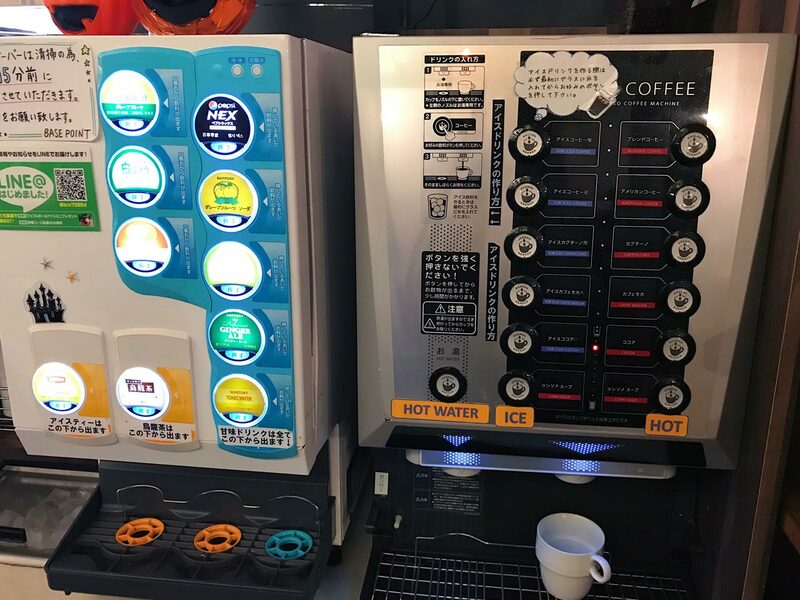 And of course, there are free drinks which you can get from a self-serve machine. I badly needed the coffee and it was pretty good for something made by a machine. When I walked by customers who had ordered meals, I thought the food looked simple but good, considering how inexpensive the lunch special was. Although I moved on to another "office" after only two hours, I felt like I could have stayed much longer. The staff was friendly, and the fact that you're paying by the hour means you don't have to feel guilty for taking up valuable space with your computer. You're not paying for food to earn space in a cafe. Instead, you're paying for the space, time, and Internet first. Food and drink are secondary. Although it is a ten minute walk from Shinjuku Station (it's a much shorter five minute jaunt from the Maru no Uchi Line's Nishi Shinjuku Station), I think I'll be coming back here in the future. Update: Guess what, I did come back here in the future, quite a few times actually. When I've been in Japan, I'd often come to Base Point to work for the whole day. I later became a literal card-carrying member, which gets you discounts (especially when you stay for longer blocks of time). I've also eaten the lunch a few times too. The food is okay. It's not bad, at least, and I think in America it would pass as "good." Regardless of food quality, though, it's very cheap, and I usually get it so I can keep working. All that said, I've come here a lot since my initial visit. I think that says more than anything I could write. 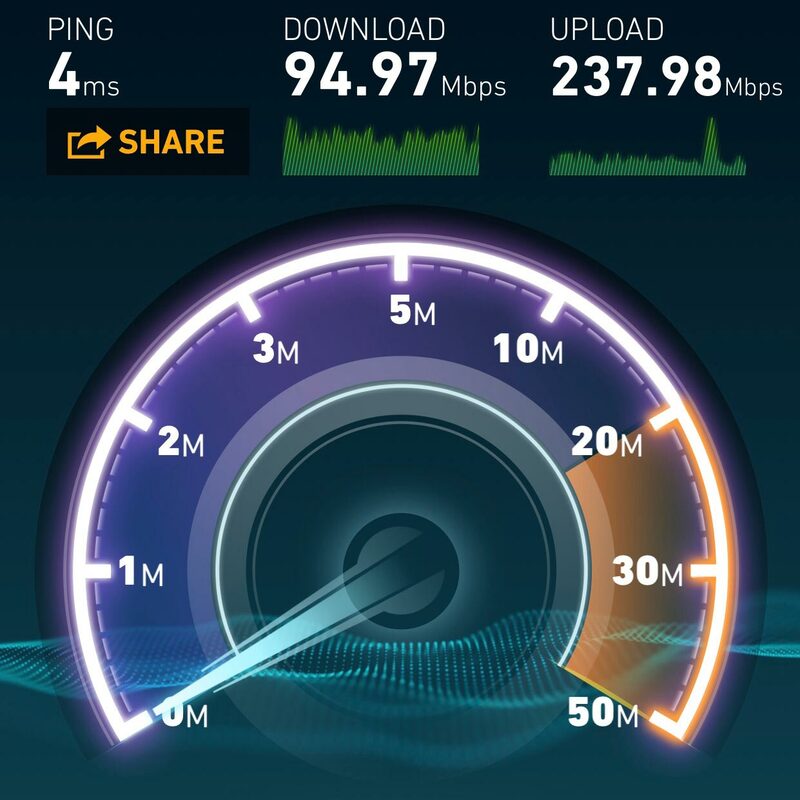 If you are visiting or live in Japan and want some Internet/computer time, I recommend giving Base Point a try. It's a nice little oasis where you can get some work done or just take a break. Update: Some of the Tofugu crew came here once after our company retreat in February 2018. Not much has changed, but we were able to experience the tempurature of the place in winter. Good news, it's not overly hot, and remains a comfortable temperature to work. Fast Internet, free drinks, plenty of power outlets, and comfortable enough seating. If I’m in the Shinjuku area (or am willing to travel there), this is one of my go-to spots for getting work done in Tokyo. I recommend you get a free membership if you go often for slight discounts and better all-day rates. Cute space. The greening of the space makes it inviting and relaxing. Plus the unlimited free drinks is a nice perk. Temperature in both summer and winter were good. All you can drink (non-alcohol, that is). You can purchase food, which means you can just never leave. Comfortable work spaces with a lot of variety. Lunch gets pretty busy, so if you want the best chance at a good seat go a couple hours before or after lunch. They're selling boxes of Smith Tea there, with a sign saying like "it's getting all popular, this tea," and I'm like "really? Smith? It's okay, but, I mean, this is Japan, you guys got good tea," and the sign is like "I dunno, whatever." They try to make you check in with Facebook when you connect to the wifi, though you can avoid this by clicking a very grayed-out skip button.